United eye superb La Liga playmaker. Manchester United could be set to launch a January bid to sign Atletico Madrid playmaker Koke to solve their issues in midfield, according to reports in Spain. The Red Devils have been linked with a whole host of creative midfield players in recent months, with the likes of Arturo Vidal, Kevin Strootman and Wesley Sneijder believed to be high on Louis van Gaal’s list of priorities. 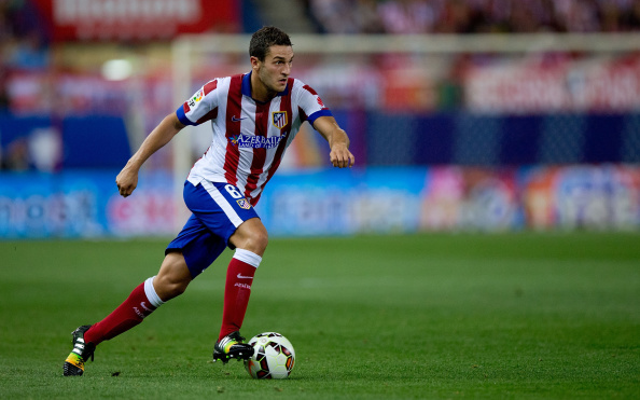 However, it has now emerged that the Dutchman wants to bring in Koke to add some creativity to his midfield, and the 22-year-old would no doubt make an excellent purchase after establishing himself as one of the best midfielders in Spain in the last year or so. The 22-year-old, who has been compared with Barcelona and Spain legend Xavi, played a key role in guiding Diego Simeone’s side to the La Liga title last season, as well as on their incredible run to the Champions League final. It is thought that a big-money bid in the region of £37.5m may be enough to persuade Atletico to let Koke go, though they will no doubt be desperate not to lose any more of their big names after selling Diego Costa and Filipe Luis to Chelsea this summer, whilst also seeing Thibaut Courtois return to Stamford Bridge after three years on loan in the Spanish capital. Koke is now one of the team’s most important players, taking up a senior role in the side despite his age, though there has been growing interest in the Spaniard since his fine form last season, with United, Barcelona, Bayern Munich and other top clubs linked with him on several occasions during the summer transfer window.